For many student leaders of the band, attending drum major camp is a rite of passage. Over several days, they learn not just conducting skills but also communication, teamwork and leadership as well. Find out about some of the top camps and clinics in the country, what they have in common and what sets each apart. I was the never right kid for drum major camp. This shy writer-to-be, who in elementary school could barely reach all the clarinet keys with his tiny hands, just wasn’t leadership material: too shy, too small, really more of the behind-the-scenes kind of guy. 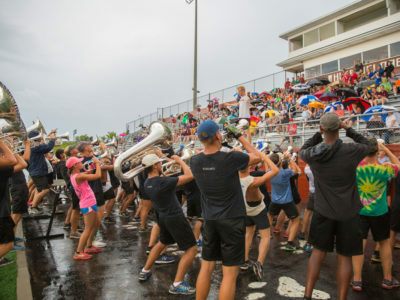 But each summer, thousands of the more commanding, confident types head to drum major camps around the country to learn team-building skills, sharpen their conducting chops and network with other alphas. 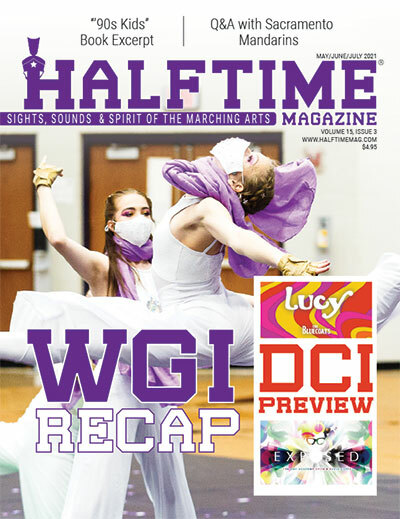 Drum major camps are spread across the country and take different approaches. 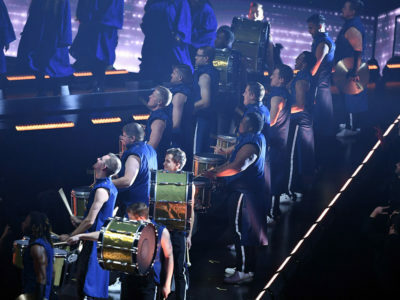 Some focus on traditional military baton and mace while others focus on drum corps conducting. But wherever young drum majors go for the summer, they return to school in the fall a stronger, more respected leader. Historically, drum majors began as the lead drummer in drum and fife units that led troops into battle and relayed commands with the other units. This tradition dates back to the 1600s. Eventually, the position evolved into the man wielding a mace in front of British brass bands, pumping it to count time, spinning it smartly and pointing it the direction the group would follow. This traditional style of baton and mace flourishing is an important aspect of the curriculum at the World Drum Major Association’s DrumMajorCamp.com in San Diego, California, which is tailored toward middle and high school students. Leading the instruction is Jason Paguio, who in 2007 became the first person outside the United Kingdom to win the World Drum Major Championships title at the World Pipe Band Championships, a competition that began in 1906 and is held in Glasgow, Scotland. In addition to Paguio, professionals from around the country form the camp staff. DrumMajorCamp.com tailors its instruction to preparing drum majors to win competitions run by organizations such as the Southern California School Band and Orchestra Association (SCSBOA), the Northern California Band Association (NCBA) and its own World Drum Major Association (WDMA). During an intensive three days, students live on the San Diego State University campus to simulate a collegial atmosphere. 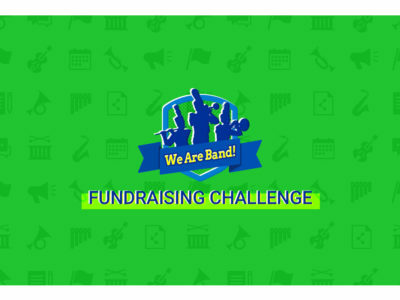 The hundreds of attendees are asked to bring instruments, so each student can conduct their peers in a parade setting, an experience the organization extolls as unique among summer camps. Don’t bother bringing your mace and puffy bearskin cap to the camps held by various drum corps; you’ll only need your hands and a booming voice because you’ll be leading and conducting large ensembles. 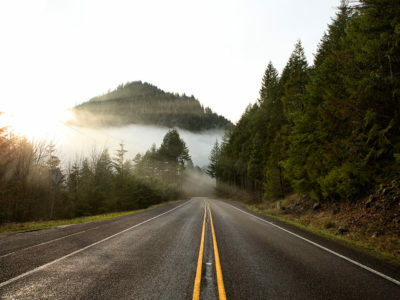 Student camps are generally coordinated with the corps’ travels plans. 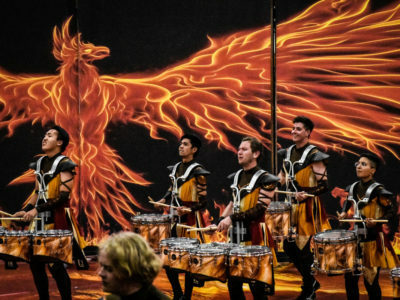 The Phantom Regiment Drum and Bugle Corps holds camp in conjunction with the corps’ spring training at Rockford (Illinois) University from June 1 to 4. Two additional drum major camps will be held this summer in Akron, Ohio, and Frostburg, Maryland. At each location, there is a dedicated staff separate from the corps to instruct the students in lessons such as the basics of conducting, the roles of each conductor on the field, how to aid in the running of sectionals and how to help the staff make the corps run more efficiently. Drum major candidates also learn a few pages of the corps’ drill to expose them to the Phantom Regiment’s way of drill teaching. Also, one lucky student who is deemed the best of his peers is given the opportunity to conduct the Phantom Regiment brass line. For the corps, the camp is a valuable way to recruit future members and spread the good word about the fun and rewards of drum corps life. 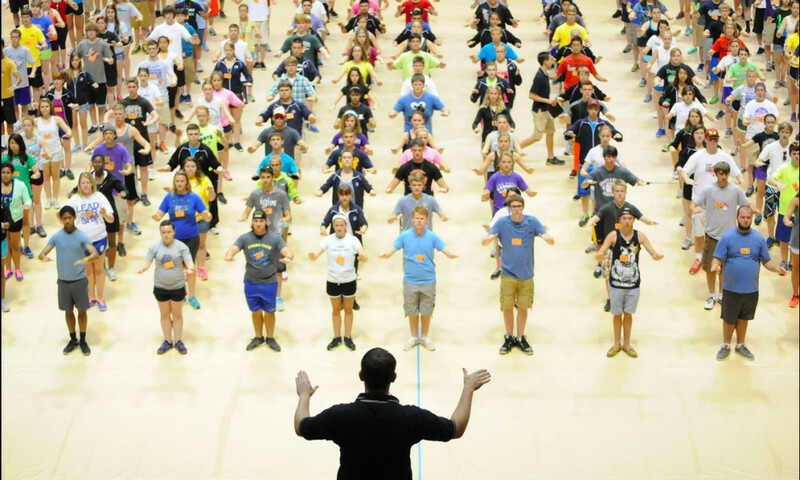 The big boys of drum major camps are those like the United Spirit Association drum major camps—16 locations across five Western states—and the Fred J. Miller (FJM) Summer Clinics, centered mainly in the Midwest and South. 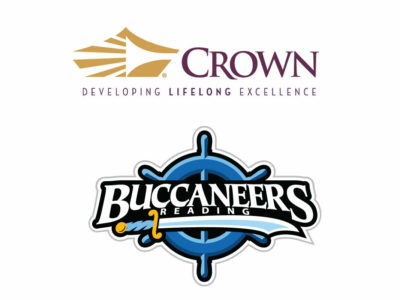 Both of these organizations host other instructional programs concurrent with their drum major camps. The FJM Summer Clinics offer curricula for section and squad leaders, color guards, dance teams, majorettes and baton twirling together with drum major instruction, all at the same location. Drum major students who don’t attend the camp with hometown classmates are placed in a team and mentored by a staff member. 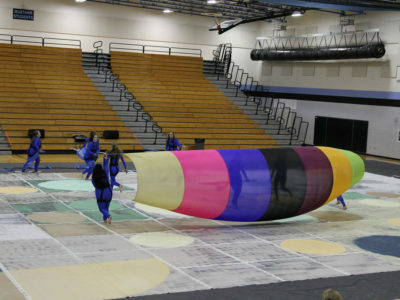 It is in these groups that students learn non-performance skills like communication and motivation, which are critical to the cohesion of a marching band program. Another camp with multiple locations and a great tradition is the George N. Parks Drum Major Academy (DMA), which has 14 locations spread from Pennsylvania to Southern California. 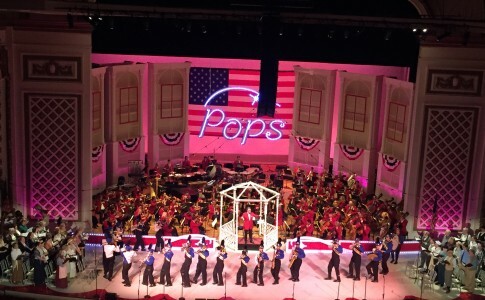 The camp began as a part of one of the oldest summer marching band programs in the country at West Chester (Pennsylvania) University in 1973 by Parks, the director of the University of Massachusetts Amherst Minuteman Marching Band for 33 years. Unique to the Drum Major Academy is the individual instruction given to each student. “We give one-on-one attention to every single student at every single DMA workshops, whether there are 100 students or 600 students,” says Heidi Sarver, who has the held the position of lead clinician, personnel manager and website administrator during her 25 years with the organization. This personal attention includes the use of video to break down how a drum major can improve his or her technique and one-on-one conducting instruction. Since their earliest days, drum majors have been truly measured not by their showmanship or sense of rhythm but by their leadership on the field. At all drum major camps, this all-important attribute is emphasized. 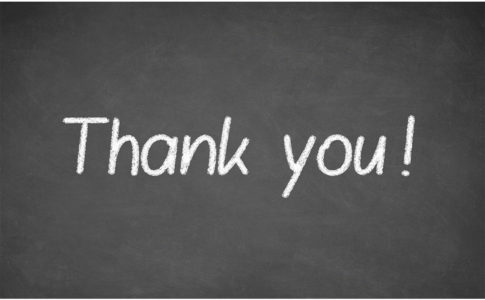 For many music educators, it was precisely this type of leadership education during their formative years that has become invaluable for their careers. 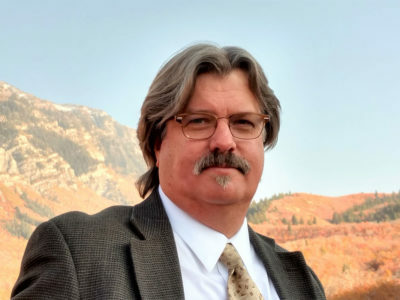 Mike Fleischmann, director of bands at La Quinta (California) High School, credits his time at the United Spirit Association drum major camp for helping him grow into the music educator he is today. And, of course, no drum major camp would be a summer camp without hot fun in the summer time. 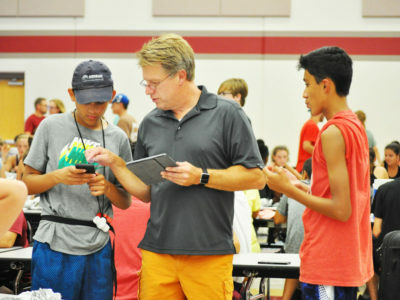 At the Smith Walbridge Drum Major Clinic at Eastern Illinois University in Charleston, Illinois, activities include a DJ party, a talent show and an outdoor cookout. There are also basketball and tennis courts, a water park, video games and a pool table in the dorm. These give drum major campers ample opportunity to make friends and discuss their futures with their fellow leaders. Smith Walbridge also hosts clinics at Florida Gulf Coast University in Fort Meyers, Florida. 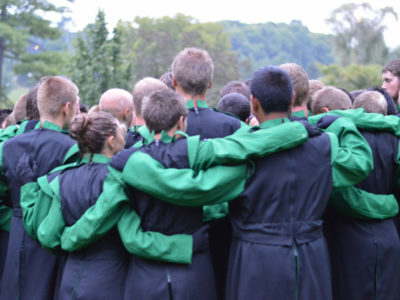 At DrumMajorCamp.com, summer fun takes the form of shared meals and impromptu pizza parties where lifelong friendships are formed no matter what school mascot the students claim. For this never-was drum major, I get a tinge of regret when I think about the opportunities I missed by never picking up the mace. But for there to be leaders, there must be followers. And the kids who head out to drum major camps each summer are the ones who lead the parade or stand tall at the 50-yard line with all the followers looking up at them.